This is the icon for the "Finder" on a Mac. The Finder is the program that manages files, applications, network connections, and devices such as flash drives or cartridges for talking books. (It is similar to Windows Explorer on a PC.) The Finder is always on when your computer is running, though it may be in the background if you’re using another program. 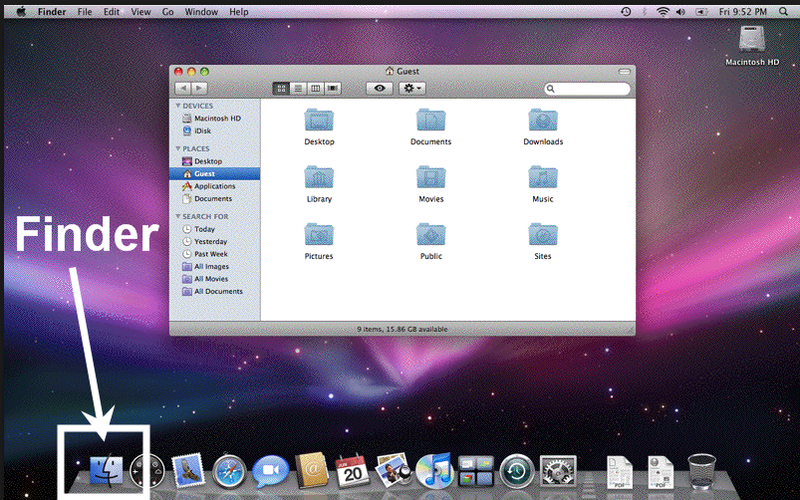 The screenshot below has the Finder icon highlighted. It is always the first icon in the dock or tray at the bottom of the screen.